Hii beautifu ladies, how was the weekend? Any planning to surprise your Valentine..? I know you might be all set to make this Valentine's Day special for you.. You might have bought new cloths, gifts, shoes, etc. but never forget to make your nails done .. It is equally important to have good designed nails like your makeup.. Do worry, I am here to help you.. No need to rush to the salon and spend a huge amount on making nailarts... You can create easy and beautiful nails at your home with few basic polishes..
Before jumping to the nailart tutorials, let me tell you that, this post is a part of our #ShareYourLove blogtrain by Dipika Singh & Minakshi Bajpai . This blogtrain has 20 stations ( means 20 bloggers) which make sure to make your valentine's day more special.. Thank you so much Sindhuja for introducing me and passing the blogtrain to my love station.. So today I am going to share two easy-peasy nailarts for Valentine's Day. You only need few basic shades of nail polishes and toothpicks and few more things... So let's get into the first tutorial..
For creating this beautiful nailart ,you need a baby pink nail polish shade, a brownish pink nail polish shade ,a white polish , a fan brush, a toothpick and a clear top coat. you can change the nail polish colours according to your wish.. Now for creating the design ,first apply the baby pink polish on nails over a clear base coat. Then take the brownish pink shade on one half side of the fan brush and keep striping randomly in one direction and repeat the procedure from the other direction of nail as well . Keep striping till you get the desired effect . Refer the below picture for better understanding . 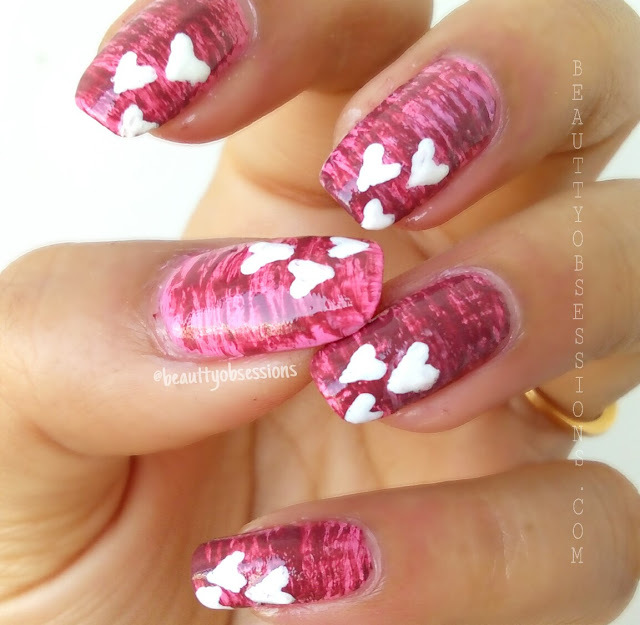 Now wait for a minute to dry up the design and draw heart shapes like in the picture on nails through a toothpick .. Now wait till everything dried out completely and apply generous quantity of clear top coat and you are done .. isn't it easy to create ? let's jump to the second Valentine's Day nail design..
For the second nailart ,you need a white polish, a red polish, a needle and a clear top coat. First paint all the nails in red colour and paint the ring finger in white colour . Just note down that ,here you have to draw one nail at a time .. just finish one nail ,then move to the other.. When the base nail paint is still wet, put medium size drops of the opposite colour nail polish and immediately drag the dots from the middle through a needle .. Just drag with a very light hand ,don't put much pressure . And done ...look how easy it is ... 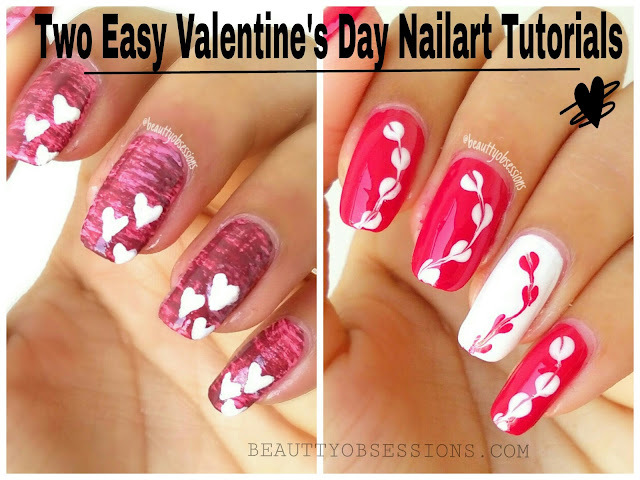 Refer the below pic for better understanding..
Hope you like these two easy to create Valentine's Day nailarts ..Share your feedback in comments below.. 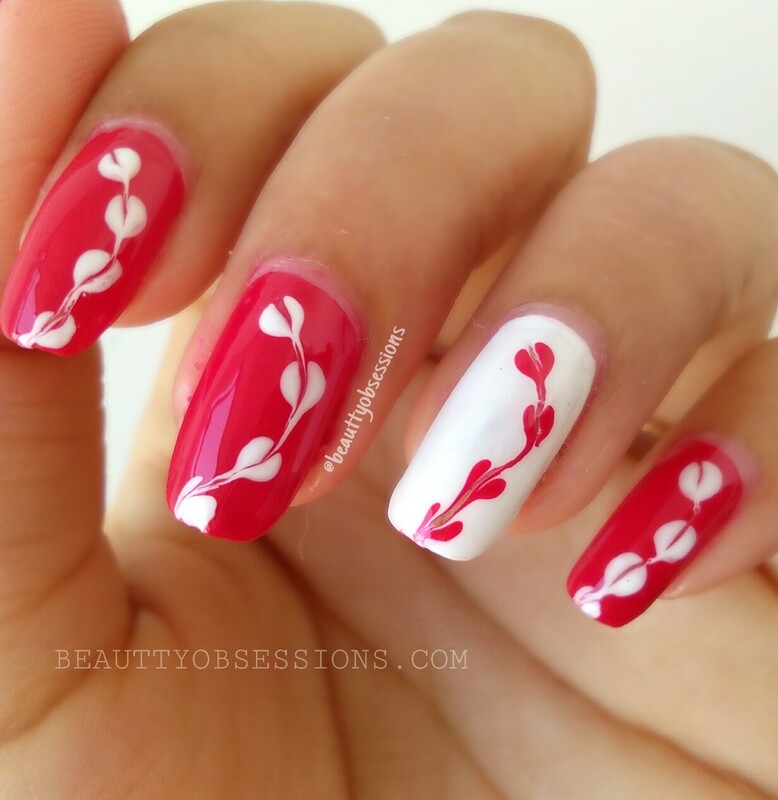 Promise you to come with such easy and beautiful nailarts soon. Now this love train is departing from my station and going to reach at Rashmi's blog . She is a lifestyle blogger by passion and a teacher by profession . She loves to share her daily life and parenting style through her blog ajisthmomstyle.com . Don't forget to check out her awesome blog.. Awesome nail art... Love your every step..
Beautiful post! Nail polish glides on smoothly with amazing texture. The designs of nail art is fabulous. Great review. These are such beautiful nail arts. Perfect for the valentines day. Would love to try them out. 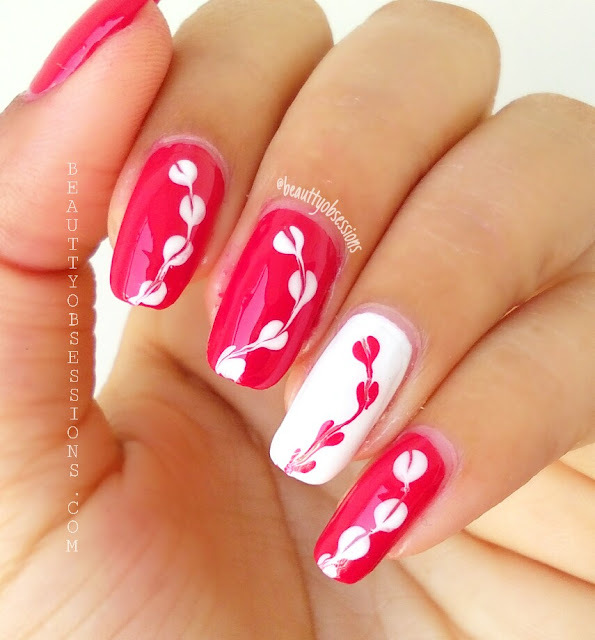 Such beautiful nail art, and thanks for showing ones that are easy. Love the second one a lot..! Its very beautiful and simple , I will definitely try this. Honestly loved both nail arts.. so good and easy. Lovely . I'm not very creative but Would love to try one of them in this valentine's day. 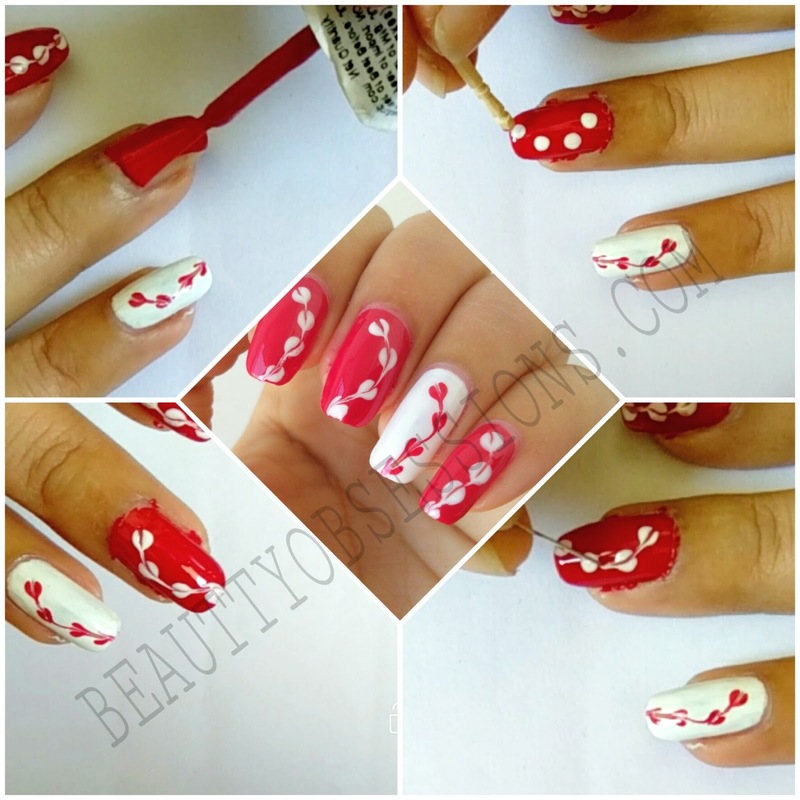 Snigdha, this is awesome tutorials for V-Day special nail art. I am in love with the colours and how well you blend them to perfection. Such a beautiful post. Nail arts you have done are easy and amazing. How much time needed to do this? Just simply love these cool nail art ideas. The first one is my favourite. I'm trying out the second one. It looks so pretty and doable. Great idea! Looks very pretty n so apt for V day! I am really bad when it comes to nail art and make up. But will definitely try to have such pretty nails like yours. P.s. I loved the Toothpick one a lot it is simple and oh so beautiful. 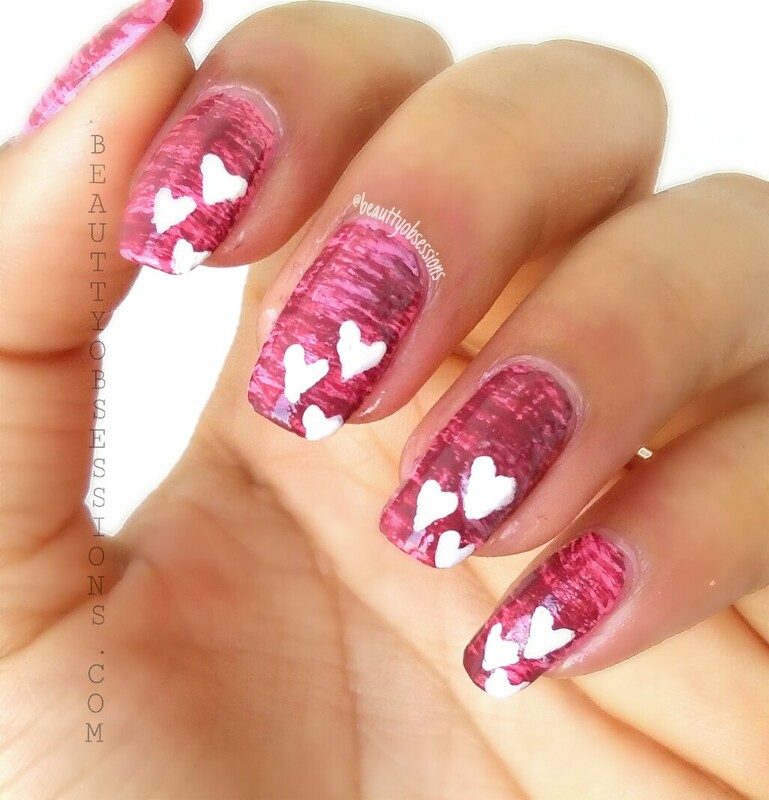 Hey this is Manisha and just one word comes out when I see the nail art wow. I tried my hands at nail art but could not manage to do. Beautiful nail art as usual. These are so easy, I never knew. Thnaks for sharing. Snigdha you are just too god dear. I am a fan of your nail arts. The way you execute the things - superb. I know its not easy and it requires innovation, concentration and patience.I have very short nails. Do you have anything for short nails? Very Cool & Simple Nail Art !